When I was in junior high school, way before I learned there was such a job as "graphic designer," I was into two things: heavy metal and art. Well, okay, three things. Girls were on that list too, but most of them avoided me. Mostly because I was into heavy metal, come to think of it. We had an art class at school and I was always working my interest in metal music into the art projects. The screen-printed T-shirts I made featured Ozzy Osbourne logos and the pottery lesson turned into a bust of the gore-spewing Ozzy from the cover of Speak of the Devil. Since I was one of the best artists in our class, people were always asking me to help them with their projects. Art class was the only class where I was popular. Later on in high school, I took art, jewelry making, and four full years of drafting, all of which furthered my interest in commercial art. I was only beginning to think there might be a career for me in graphic design when I took a journalism class and caught the bug, getting sidetracked on that career path for the next four years. By the time I started my independent newspaper in 1988, I'd already been publishing all sorts of things for years: little fanzines, newspapers, and magazines. I'd even taken a summer school course in "magazine making" when I was probably 12 or so, and I'd been on the "newspaper" staff in the 6th grade, although it was laughable to call that mimeographed atrocity a newspaper. Hell, I was the "Filler Editor" in charge of jokes and word searches to fill in the holes, so that should give you an idea of our 6th grade professionalism. 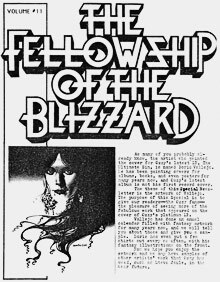 In the 7th grade I'd started an Ozzy fanzine called The Fellowship of the Blizzard, which I'd painstakingly piece together using pen and pencil art, pictures cut out of rock magazines, and typewritten pages I'd cut into columns like a real magazine. I even sold a few copies on consignment in a rock shop in Los Gatos called Buffalo Trading Co. (sadly defunct now). In those days of the 1980s (*shudder*), I had two main graphic design influences: Steve "Krusher" Joule and Derek Riggs. Krusher was the art director for the UK's Kerrang! magazine, which I subscribed to at great cost (weekly air mail delivery to the U.S. cost over $100 per year). He was also the mastermind behind the album designs for most of Ozzy's early groundbreaking solo albums. I copied Krusher's designs for much of my work between the 7th grade and the 11th, when I finally gave up publishing the Fellowship newsletters. You can see his influence by comparing the Ozzy albums above with the newsletter. I designed the Fellowship logo in the 7th grade, deducing the concept of a vanishing point purely be scrutinizing the Blizzard of Ozz album cover. Not bad considering I hadn't even taken my first drafting class yet. 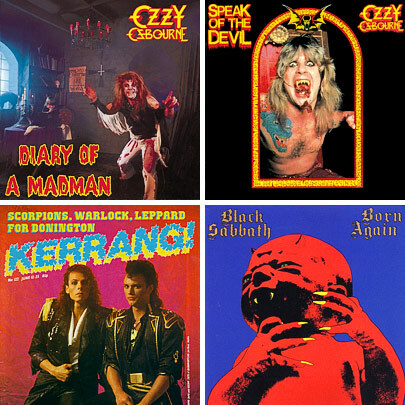 Derek Riggs' work was also influential (as was the music of Iron Maiden, not coincidentally), and I even dedicated a special edition of my Ozzy fanzine to Maiden, with plenty of Riggs album and single covers displayed inside. I would later spend a lot of time avoiding my homework in high school by drawing the Maiden logo on everything from my binders and schoolbook covers to my pant legs and a couple of friends' jackets. If I'd had the smarts to charge people, I could'a made a few bucks. In later years I'd dabble in copying the style of Pushead, who was famous then for skate decks and lots of Metallica T-shirt designs, and I'd mastered the reproduction of the logos of bands from Queensryche and Dokken to Dio and Megadeth. Krusher stopped doing Kerrang! eventually and I'd moved on before then anyway, gathering plenty more "traditional" graphic design influences. 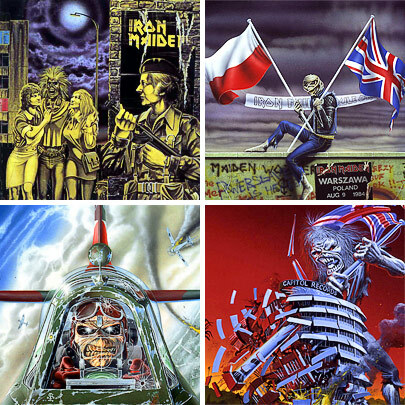 Riggs stopped doing Maiden's album art when the band didn't like one of his covers, and they've been done by other artists since, often in a similar style and of course always featuring the famous Eddie. But even today those two artists stand as possibly the first two professional designers I knew by name, and they've had a lasting effect on my style, technique, and aesthetic. Thanks guys. Here's a recent CNN interview with Derek Riggs I found interesting. MARCH 2009 UPDATE: I found a few more people in the past year. APRIL 2008 UPDATE: Several people on the list below have contacted me as a result of this post. It works! ORIGINAL POST: One loses track of many people in the course of one’s life. People get off at this stop, miss the train at another. The train of life chugs on. Did you ever wonder whatever happened to those people? The ones who influenced you in some minor way. 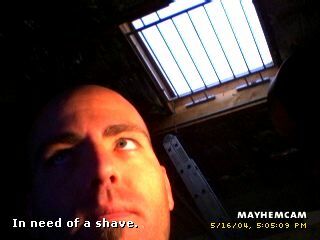 Or perhaps in a very significant way. I admit it. I’ve Googled the names of one or two old girlfriends. C’mon who hasn’t? I’ve looked up old friends, teachers, people I used to work with. I’ve even Google people from the seventh grade, fercryinoutloud. At some point a few years ago, I tried finding a few people who were influential in my life, but whom I’d lost touch with long ago. Alas, I only had decent luck with a few, and then quickly got distracted by the 237 other things that occupy my so-called free time. In fact, I started this list and this blog post 14 months ago, and I’m only getting around to posting it now. Operating under the assumption that everyone will eventually Google themselves, I’m posting the names of people whom I’ve lost touch with and wondered about. Since Google will index this page eventually, I hope they will see their name in Google, with a link to this page. The names are in no particular order. I’ll probably add to it over time. I’ll also update this page when I find out whatever happened to any of these people. If you know any of these people (or maybe are one of these people), I’d really like to hear from you.